Nearing the release of her provocatively titled new book The Big Lie: Motherhood, Feminism and the Reality of the Biological Clock, Tanya Selvaratnam, a writer, producer and executive at the Rubell Family Collection, shares her thoughts on infertility and IVF treatments, the financial cost of reproductive medicine, finding a work/life balance and achieving solace in her creativity. I tell my friends that I skipped a mid-life crisis and went straight to an end-of-life crisis. During a three-year period -- between 2009 and 2012 -- I had a series of miscarriages, was diagnosed with cancer, and experienced even more shocks to my system -- many of which I recount in my book The Big Lie: Motherhood, Feminism, and the Reality of the Biological Clock. Nothing could have prepared me for the rumble strip -- a period when everything falls apart -- my life had become. But today, I have never felt happier and more optimistic. I credit being an artist with helping me find my way. Supreme Court Justice Sonia Sotomayor wrote in her memoir, My Beloved World: "There are uses to adversity, and they don't reveal themselves until tested. . . . Difficulty can tap unsuspected strengths." Artists are among the lucky ones who have the tools to turn adversity into action. In my case, instead of crumbling, I wrote a book. I couldn't feel sorry for myself; I had deadlines to meet, research to complete, and people to interview. My network of friends and artists gave me extra strength and support and helped me write myself out of the belly of the whale. In The Big Lie, I explore the various lies we are told and tell ourselves: We can do things on our own timetables; we can manipulate evolution; we don't need feminism anymore, etc. Creative people are by nature more likely to break with convention, including with regard to choices about love and family, but as we get older, we all face the same ineluctable truths: not thinking proactively about certain life goals -- such as parenthood -- might result in them being more difficult to attain. I wrote the book that I needed when I was going through my rumble strip. It's the book I wish I had had when I was coming of age, winging it about my future aspirations. I've seen many creative friends forfeit personal life goals because they believe those goals will interfere with their artistic pursuits. For anyone, the costs of dealing with infertility and pursuing treatment can be prohibitive unless you reside in one of the fifteen states that mandate some form of insurance coverage for fertility treatments. Many artists I know don't even have health insurance and live at the subsistence level, hand-to-mouth. When you factor in the average cost of raising a child (about $235,000 for a child's first seventeen years), childbearing becomes even less feasible for the creative class. But creative people have an outlet for their difficult experiences. In my case, as it became clear that my quest to have a biological child was quixotic, I found hope in my artistic pursuits. All the energy I would have thrown into parenthood I directed towards my art. When I first started writing The Big Lie in 2011, I didn't intend to go so deeply into my personal story and I didn't know where my journey was taking me, but as a writer/friend told me about his own life seeping into his books, what I went through became "grist for the mill." When life throws you lemons... make art. My book is as much about the difficulties of balancing life and an artistic practice as it is about the work/life balance in general. I want people to embrace the multiplicity of ways in which people pursue parenthood (through adoption, single parenthood, queer partnerships, etc.) and moreover the different ways in which people choose to live their lives, with children or without. We are constantly pitching ourselves against the expectations and judgments of others, and this sets us up for disappointment or failure. By sharing my story to connect to and offering up-to-date research and opinions, I hope I help others and inspire them to make change in their own lives. The filmmaker and my friend Lucy Walker directed the Academy Award-nominated documentary called Waste Land about catadores (recyclables pickers) who work in the largest landfill in Brazil. One of the men, Valter, talks about how every can he picks matters, everything anyone does means something, every person is important. He says, "99 is not 100, and that single one will make the difference." 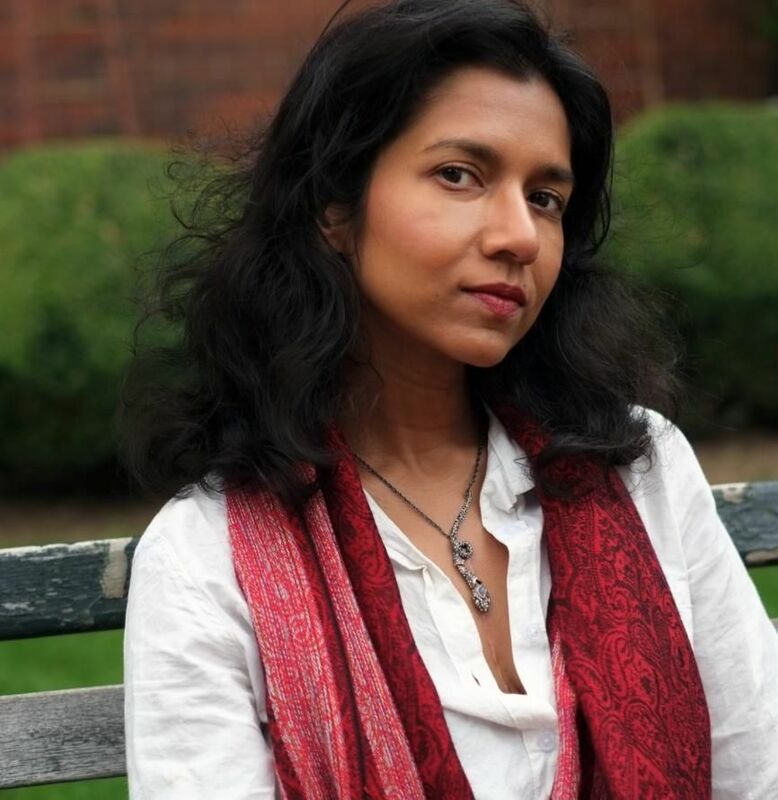 Tanya Selvaratnam is a writer, an actor, a producer, and an activist. She has produced work by Chiara Clemente, Catherine Gund, Mickalene Thomas, and Carrie Mae Weems; and has performed with The Wooster Group and The Builders Association. She is also the Communications & Special Projects Officer for the Rubell Family Collection. As an activist, she has worked with the Ms. Foundation for Women, the Third Wave Foundation, the NGO Forum on Women, and the World Health Organization.